Today was the final day of rest before the final stretch. I woke up at 8am, clocking a total of 8.5 hours of sleep which was good. I have definitely not gotten enough sleep during this challenge. Proper rest is a big part of building muscle, and my goal had been to hit about 7-8 hours of sleep a night. In reality, it’s been somewhere between 6-7 most nights. When you’re waking up at 5am, being in bed between 9-10pm is hard to do, especially with a family, meals to prep, and food to eat. Thankfully on Sundays I get to recharge the batteries a bit. 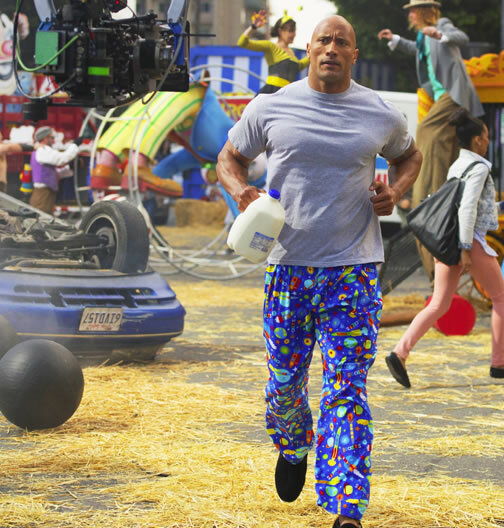 How The Rock Rests – Running in Pajama Pants. Whenever an article is written about the story, they usually include The Rock’s height and weight. His height is usually the number shared from his wrestling days: 6′ 5″. Inevitably the comments section includes a height debate about how tall he really is. Apparently many people believe that the heights in the WWE are overstated to make everyone seem larger than life. 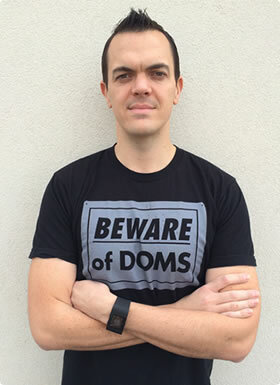 The man himself has stated in the past that he is actually 6′ 4″. I currently measure about 6′ 3″. I have never met The Rock and have no inside information, so I have no idea how tall he is. But over the weekend I was watching an episode of his HBO series “Ballers” and there is a scene when he was walking down a field at night with his co-star Omar Benson Miller. 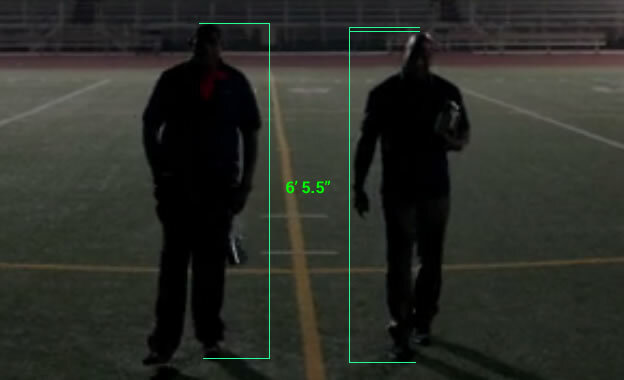 Miller is a big guy at 6′ 5.5″ and 300lbs. Below is a screenshot, along with The Rock standing next to him. You can see The Rock is a bit short, but not by much. So he may not be 6’5″, but he’s likely around 6’3″. While we may be close in height, but he weighs in at 260lbs, compared to my 207lbs. I can’t even image being 50lbs heavier, all pure muscle. That’s a big dude. A lazy Sunday with the same amount of food yet little activity. It was glorious.